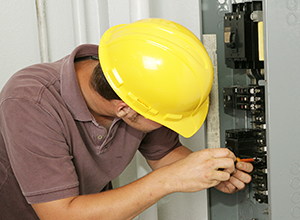 Panel Repair and Replacement may be important if your electrical panel connections become loose or corroded. Over time, due to settling of your building, dust, humidity, chemicals, or other atmospheric conditions, the wires connecting the breakers and circuits of your electrical panel can become loose and corroded. When that happens, trouble isn’t far behind. You May Be Asking – Do I Need To Upgrade My Electrical Panel? It depends on many factors. That’s why we recommend yearly inspections to troubleshoot and prevent issues before they start, or repair or replace the electrical panel if needed. So you know, another important reason to let us inspect your electrical panel is: many of the breakers installed in homes and businesses between 1950 and 1990 were manufactured by Federal Pacific. Electricians used them when cutting costs on jobs were important. Trouble is, they are notorious for being faulty. They don’t trip when they should and it can cause a fire! Today’s electronics and gadgets can pull a lot of power. If your living room circuit isn’t set up to supply enough power for a big screen TV, a 5.1 or 7.1 television surround sound system, a cable box, a DVD player, an X-Box or Playstation, floor and table lights, an Amazon Echo, phone charging, a stereo, and more … then you have a problem you may not know about until it’s too late.